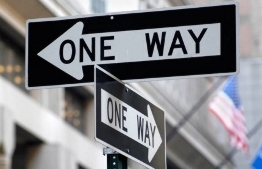 One Way Signs by Street Sign USA! One way signs are the ideal choice for guiding drivers in any one particular direction. Part of the regulatory sign family, one way signs aide in the flow & control of vehicular traffic.